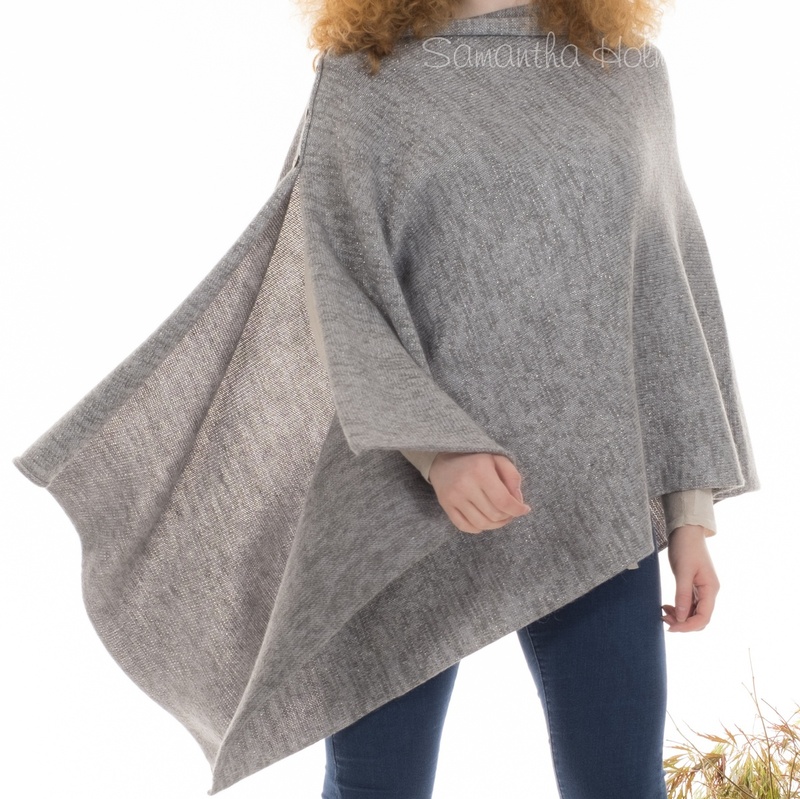 Back by popular request, our Multiway Poncho, this time bigger and better. Knit with our signature alpaca and bamboo yarn with a subtle addition of silver metallic thread. 3 coconut buttons to fasten, or wear undone as a generous wrap.